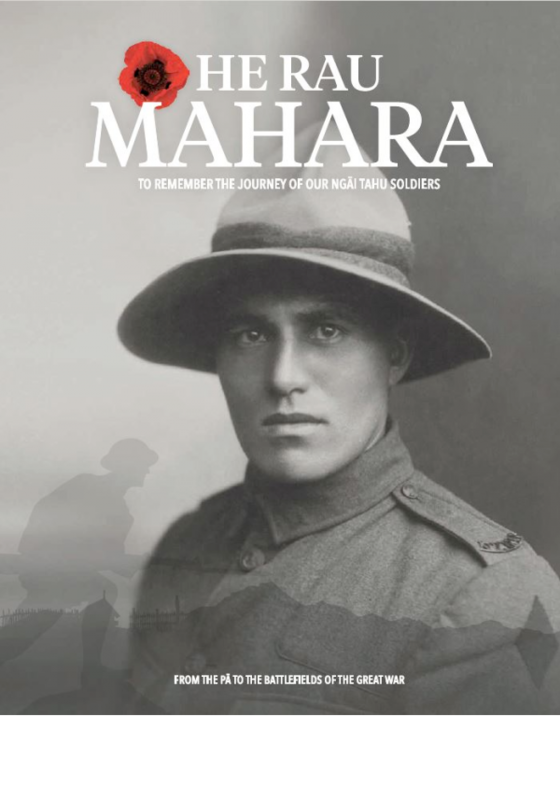 He Rau Mahara, is an acknowledgement to our Ngāi Tahu servicemen who enlisted in the First World War, with many making the ultimate sacrifice, if not while on duty, then certainly on their return. For many survivors, the atrocities exposed to overseas, eventually worn them down in later life. He Rau Mahara is designed as a starting point for further research and a historical resource for all New Zealanders. Undertaken to coincide with New Zealand’s First World War Centenary 2014 – 2019. The project was initiated by Whakapapa Ngāi Tahu, and brings together three years of research and interviews with whānau. The title ‘He Rau Mahara’ loosely translates to 100 memories, or in this case 100 years of memories. A title, that acknowledges the centennial commemorations being held not only throughout New Zealand, but in Australia, the UK and in Europe.